Next up was homework checking. This took a long time, but was very useful. I suppose in a 3hr class you have much more time to play with than a 1hr20 minute class (the usual length of the classes I currently teach). Checking the homework involved teamwork/points for correct answers, which was fun except for the point where I had been nominated by my group to read out our answer, but it was the last one in the section and for the final gap I had apparently misheard the final decision, in the scramble to wrap up, so I made a mistake and lost the point for our team le stelline. I crettini got it instead, and one member of my group had a right go at me! That was rather upsetting and threw me temporarily but then I got over it. Once we had finished checking homework (I was chuffed that I had done it all! ), we returned to the stories we had written yesterday. C had looked at them all and marked up the errors using a correction code. They were stuck up around the classroom and we had to go round and try to correct the errors she had highlighted. This was a really lovely activity (another one I plan to steal! There’s an IELTS group-essay writing activity that I think this would make the perfect follow-up to…) but I found that I was very focused on the errors and didn’t really pay much attention to the story itself. 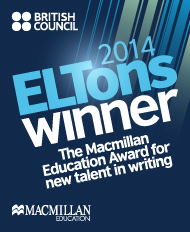 So much had happened since we wrote them (work, life, homework, a lot of homework correcting!) that I could barely remember the premise. So, I think it might have been nice to have had a quick look at the stories right after we had written them yesterday, in order to enjoy the nonsensicality and humour, and do all the meaning processing, to then return today for the error correction activity. 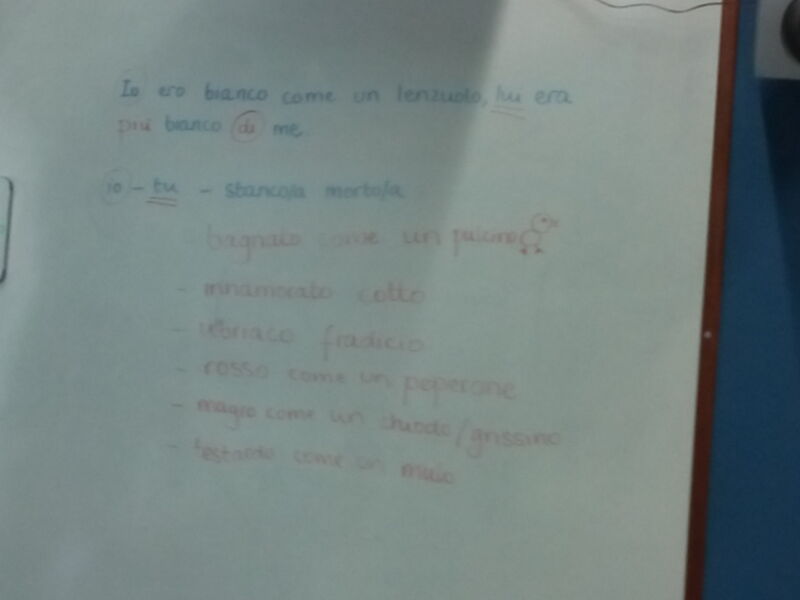 The remainder of the lesson, following the break, was focusing on pronouns. We had a list of 14 sentences with errors in, which we had to correct in teams. This I found a bit frustrating because in my group of 4, two students hadn’t studied pronouns at all before, one a little bit and me not masses but definitely more. I wanted to be in the other group. :-p Frustrating, though, not because I was impatient with my classmates but because I found it difficult to explain in Italian what I understood. 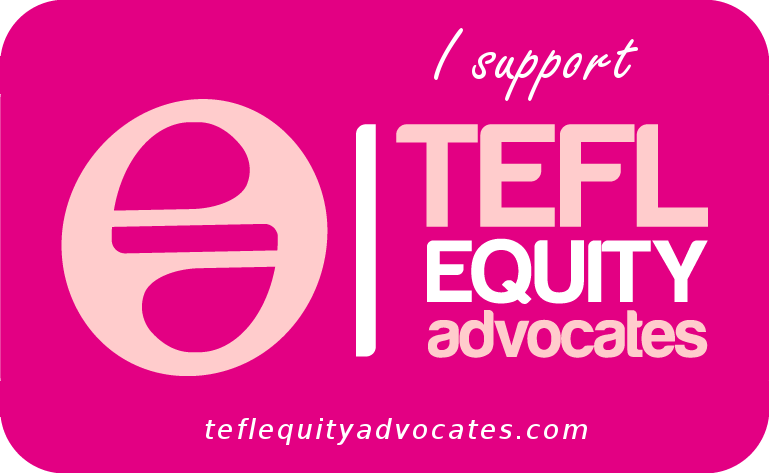 (Lack of language classroom experience – not used to discussing language in the TL – as anticipated on Day 0!) 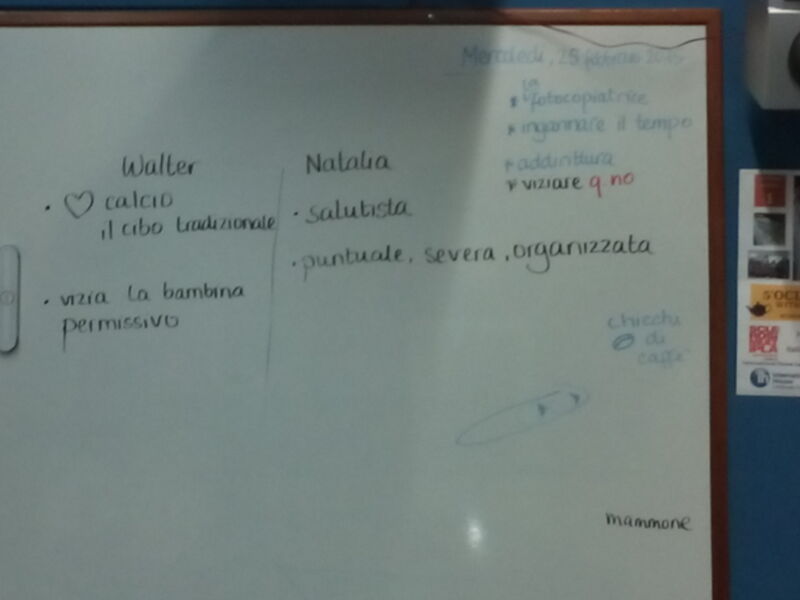 And so my poor group mates were doubly challenged, by their lack of prior knowledge and my rubbish Italian! For example, how the formal ‘Lei’ works. Fortunately, for this one, C stepped in and explained nicely and clearly! She also gave the two who had no prior some scaffolding (a table of subjects and pronouns – direct and indirect). So I experienced as a student the value of good monitoring and responding to situations that arise (obviously this kind of situation is not unusual in mixed-level classes). Whole class feedback took the form of a point scoring game. It was funny because there was this two-tier point-scoring system and everything carefully written up on the board but then at the end, after all that, we didn’t add up the points! Not that it mattered. Finally, homework was of course set. So much to do, so little time. Thank goodness a) the writing homework (writing a correct version of one of the marked up stories we’d looked at earlier) is not due for tomorrow and b) I hopefully will finish at 7.20 tomorrow, meaning I’ll have time to do written homework. Meanwhile, All The Things (preparation, marking, tussling with cantankerous photocopiers, eating, gap-fill homework due tomorrow) must be done between 4.30 and 6. Am utterly exhausted. But can’t believe 50% of the course is already gone. Must. Make. Most. Of. Rest. Overall, today’s lesson was fun but seemed very grammar-heavy. The individual activities were all engaging and useful, but felt a bit disconnected one from the next. Unlike yesterday, there was no context, no text, no situation. And all the speaking we did was about language. I think maybe having spent as long as we did on homework correction, I perhaps wouldn’t have then gone into the story correction activity at that point (though such a nice activity) because it constituted more correcting, albeit of a different sort. Whereas possibly a complete change of focus, keeping the story correction for a later stage, might have been good. So, for example maybe instead of the correction activity, working with a text, or having a discussion, and introducing some kind of context for the pronouns work. Am slightly sad that this week’s focus is pronouns, as it would have been interesting to study something I haven’t studied before, to feel what it’s like to learn something from scratch in a group. However, I’m crap at pronouns so it’s no bad thing linguistically! 🙂 I hope tomorrow there will be more speaking, listening or reading and fewer grammar activities. Meanwhile, today has set me thinking about the importance of lesson shape, flow and providing opportunities for speaking not only about language: a trigger for closer scrutiny of my own teaching… I have also realised that I have been applying some of what I learnt on the tutor training course: particularly that relating to lesson observation. While, of course, I am a participant rather than an observer, so in some ways it is flawed as an observation, in others it makes the process even more powerful as an experience, because you actually feel the effect of what is being done rather than just observing it. So that’s another layer of learning for me: language learner, teacher AND tutor-in-training! Then, it was homework checking time. This time, no games. For me, a relief after yesterday’s episode! (Though the girl in question was absent today anyway!) It didn’t take quite as long as yesterday. Again, though, it was useful. Inevitably, from time to time, in the process of these discussions, we lapsed from Italian into English. I like how C deals with this: She would say something along the lines of “That doesn’t sound like Italian to me…maybe it’s some kind of strange Sardinian dialect. I don’t speak Sardinian so I don’t know.” – essentially, drawing attention to the issue (being that we needed to be speaking in Italian not English) but in a humorous way, thereby achieving the goal (we’d switch back to Italian) without it becoming a “thou shalt…” mandate and keeping a pleasant, fun atmosphere in the classroom. This is another technique I want to adopt. On a side note, it’s been interesting to experience the question of rapport from the learner seat, and how nice it is when the atmosphere is comfortable, when there is a lot of humour and banter both between students and between the teacher and students. It definitely does oil the wheels of the learning process! Next, we got a jumbled up conversation. Clear instructions and instruction checking questions ensured that we didn’t write anything in the gaps, we didn’t reorder the conversation, we just picked out which lines were Natalia’s and which were Walter’s. Once that was done, we were able to reorder the conversation and then practice it together, putting appropriate pronouns in the gaps. This was followed by whole class feedback, in which we were nominated in turn to read out the line, inserting the relevant pronoun. That brought us to break-time. After break, we got a handout with the gapped dialogue in order, and went through it AGAIN line by line, nominated, inserting the correct pronoun. I found this a little tedious and would have preferred to have had the handout when we went through it the first time round. However, more questions did come out the second time round, so therefore for those with less experience of pronouns, this was valuable. E.g. who is the subject, what is the object, what is the pronoun substituting, how does word order affect meaning etc. (I wonder if all my reading has helped me get over these word order issues? Or possibly because French also has special word order with pronouns so as a concept it is familiar to me…Still, whatever the case, it’s still way more interesting than the alphabet was! 😉 ) I think after this extensive language focus, it would also have been nice to try and ‘perform’ the dialogue without looking at it. This would have required some improvisation but should have been doable as by this point we were very familiar with Walter and Natalia and the meaning-content of the dialogue. We could have then been given some delayed feedback on our use of pronouns in the process of our improvisations. All in all, I enjoyed today’s lesson and was relieved when use of context came into play. I think chopping up the dialogue was a great way to introduce it and get us to process it for meaning before working on the pronouns. And the clear instructions were important to make sure we didn’t screw up the staging by focusing on the gaps too early. Must remember this! One thing that I do notice is that it is the end of Day 3 and I still know very little about my classmates. I would really like there to be some kind of opinion exchange speaking activity, where I could find out what they think about stuff and have a go at expressing my own opinions on stuff. I think I mean speaking activities that allow some personalised use of all language resources, not just target structures or discussion thereof. This has made me pay particular attention in my lessons today subsequent to this class, to what opportunities I provide for interaction of this nature. In the form of lead-ins, response to texts and so on. I also wonder if we will do some reading tomorrow, as we haven’t yet. I think so far my favourite day has been day one, with today in second and yesterday in third place. But don’t get me wrong: I have thoroughly enjoyed being in the classroom every day, particularly the way that it has, without fail, enabled to me to shut the outside world out temporarily, it’s really nice to engage that intensively with something. it is difficult to focus on errors and meaning at the same time (cf. the story-writing correction activity). activities can be really good individually but lack flow as a series. sometimes the link between activities can be immediately obvious to teacher but not to the learners. context is very important for flow/lesson shape and having a context makes everything a lot more fun and meaningful. talking only about language isn’t enough. related to above point, if talking opportunities are mostly language-related, you don’t get to know your classmates. discussing language in the target language is actually quite difficult if you aren’t used to it! If one person in a group isn’t used to it, it can make things more difficult for the other group members too. it’s really nice when the teacher personalises the materials. concept checking can be reassuring as a learner, and there are ways of making it fun as a teacher. responding well to emergent language is very motivating for learners. non-gap fill homework makes a nice change! But is much more time-consuming, which is difficult when you have a heavy schedule. Conclusion: when giving more time-consuming homework, give a longer deadline (as C did). Decent board pens make a big difference to clarity of board work! Clear board work is lovely to be on the receiving end of! One of the perks of being a British Council Associate is that as well as having had the opportunity to deliver a webinar (with another on the cards for next year!) I have also been able to participate in a project called ‘Teacher Talk‘. This is a series of videos edited by the British Council, which feature some of the BCAs talking about various ELT-related issues. 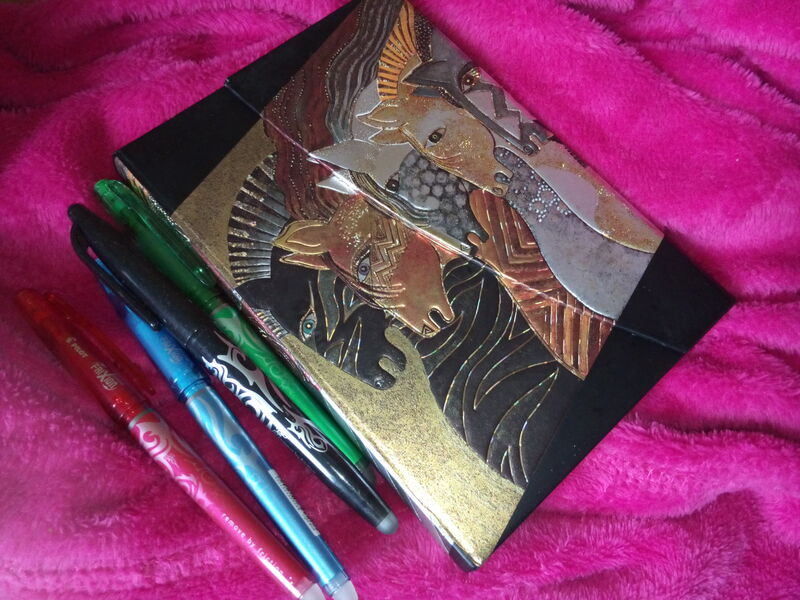 I think part of the beauty of these clips is that they are so short – within a few minutes you can either pick up a few new ideas or remind yourself of things you knew but hadn’t been uppermost in your mind recently, becoming buried amongst the myriad other things that we, as teachers, have to juggle. The other thing I like about them is that you hear a range of voices on a single subject, particularly as the British Council has edited the videos very cleverly, so that although they cut from one person to another, the flow of ideas is seamless and easy to follow. From my own selfish developmental point of view, making the videos, which I sent to the British Council to be included in the editing process, encouraged me to reflect on and synthesise (very succinctly by my standards – the videos had to be fairly brief!) my views on these various important elements of ELT. Watching the videos now, months down the line, it encourages me to question whether I practice what I (and the others in the video clips) ‘preach’ and how I could try and do so more effectively. Motivation is a slippery beast. A lot of investigation into motivation has taken place over the years, with various theories abounding to account for the origins of motivation, the effects of motivation, the effects of the absence of motivation and other such elements. It is something that everybody both enjoys and struggles with at various intervals. It can fluctuate hugely in a very short space of time. When you’re feeling motivated, you can’t imagine not being motivated by whatever it is that is motivating you at that time, but then something happens and your motivation nose-dives, at which point you find it difficult to imagine feeling motivated again. Motivation can be influenced by so many things, both external and internal. Of these influences, some will kindle motivation and some will dampen it, changes which may occur simultaneously, resulting in a sort of battle of influences, with victory being a very temporary state. Of course, with so many influences at play, it is difficult to identify which one is responsible for any change that occurs (Dornyei and Ushioda, 2012). Motivation is closely entwined with learner autonomy. My other passion, learner autonomy, is closely entwined with motivation. Nobody is going to dedicate any length of time or great effort to doing something that they are not motivated (whether that motivation be positive or negative) to do. Autonomous language learning, by nature, requires, amongst other things, motivation. The motivation to begin, and, as importantly, the motivation to keep going. Enthusiastic language study/use for two days followed by several weeks of doing nothing will have little effect on one’s competence. Indeed, Williams and Burden, 1997 (in Dornyei and Ushioda, 2012) highlight the need for language teachers to consider not only the arousal of interest but also the longer term process of helping learners sustain it. I would argue that this applies not only to motivation within the classroom across the duration of a course, but also to the motivation for learning outside the classroom. Developing one’s language skills autonomously is hard work. It is hard enough work, when, as a teacher, you are very aware of how learning a language works: we know that it is slow, that progress may seem invisible, but we also know that every little helps and that perseverance is key. We know how important exposure to the target language, in all its forms, is; we know that a vast amount of this type of exposure is necessary for the effects to become apparent. We have awareness of different approaches to learning, different activities and the benefits of these, enabling us to combine them as we see best suits our needs. Of course, even with our knowledge of all these things, we are not immune to dips in motivation. There are far too many different elements that influence motivation for anybody to be immune to dips in it. Perhaps, then, in terms of sustaining motivation, we ought to ask not only “how do I stay motivated?/how do I help my learners stay motivated?” but also “how do I rekindle my motivation when it dips?/how do I help my learners rekindle their motivation when it dips?” Take, for example, my Italian learning. 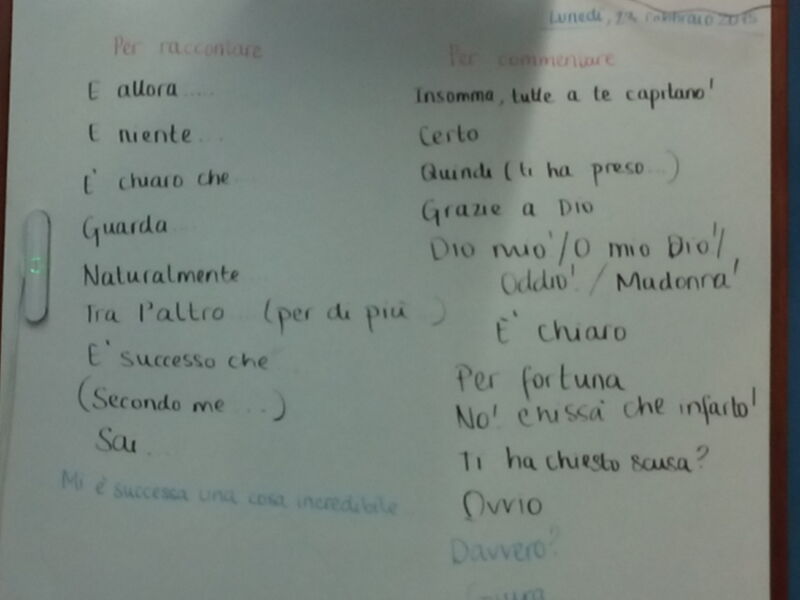 Over the summer, while I was in the UK, I was, by and large, hugely motivated to improve my Italian. I worked so hard on it that my housemate dubbed my attic bedroom “Little Italy”. My key motivation was being able to converse in Italian when I got back to Palermo. Fast forward back to mid-October, and here I am. Have I spoken loads of Italian? No. Outside of work, there has been the odd bit of transactional communication, at work, the opportunities to actually converse, getting beyond pleasantries (hi, how are you, how was your weekend etc.) are few and far between. (I think I need PSP Speaking [on offer at IHPA – multilevel English conversation hour that students can freely sign up for, in addition to their courses] in Italian!) Since returning to Palermo, my motivation has fluctuated a lot more than it did in the UK. I find this interesting because being in the target language environment is supposed to be motivational. It’s supposed to be harder to stay motivated when you are outside it. Perhaps this would be the case if you had no concrete plans to travel to the target language environment in the foreseeable future. My first problem after getting back to Palermo was that I lost my overall driving goal – that of ‘being able to converse in Italian when I get back to Palermo‘. Initially I was very happy – I managed to do things like sort out my phone and internet in the phone shop unaided, a far cry from the same time last year, when I had no language and could do nothing independently. And then something happened. A week where, for the first time in ages, I didn’t meet my (updated) learning contract – by a long shot. I just hadn’t really bothered. Instead, I merely read my current book(s). After that week elapsed and I had even “forgotten” to do my weekly reflection (in Italian), I had a little emergency meeting with myself, to try and figure out what was going on. What was going on was that I didn’t feel motivated anymore. My outdated goal needed updating. It has now, as of a couple of days ago, become ‘I need to keep studying so that when opportunities to speak properly in Italian do occasionally arise, I haven’t lost all the language I was building up over the summer with afore-mentioned opportunities in mind’. The reflection and the goal-updating have helped my motivation somewhat. 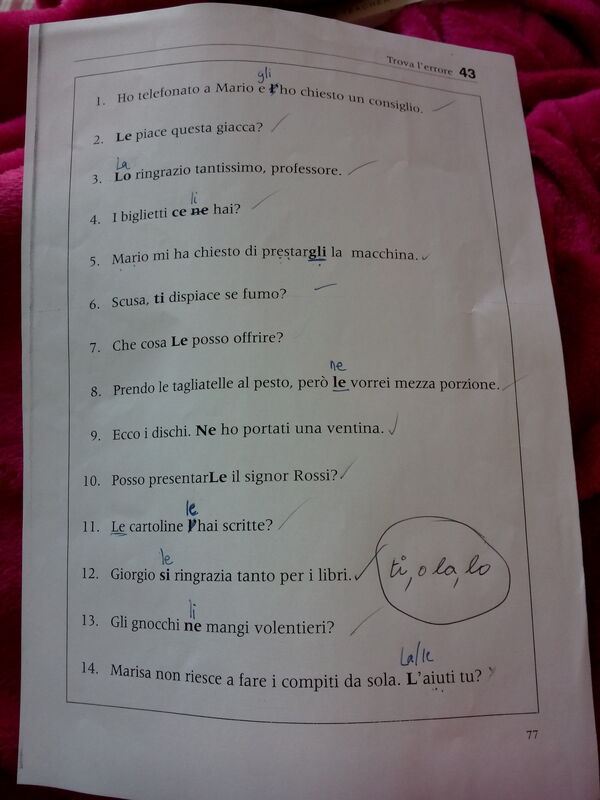 Of course one of my other motivations, that I love the Italian language, has remained a motivation – but that only motivates me to keep reading and to a lesser extent watching/listening in Italian. All well and good, but the speaking only gets rustier! What all of this highlights for me is some issues around goal-setting: goals need to be updated if circumstances change (but a change in circumstances may, of course, not be as big as a move between countries as in my example); lack of, or outdated, goals can result in lack of motivation; goals that are too general don’t have such a strong effect on motivation (“I want to be better at Italian” could be said to be a goal of mine, of course, but it is not specific enough to motivate me on its own.) Plenty of food for thought. 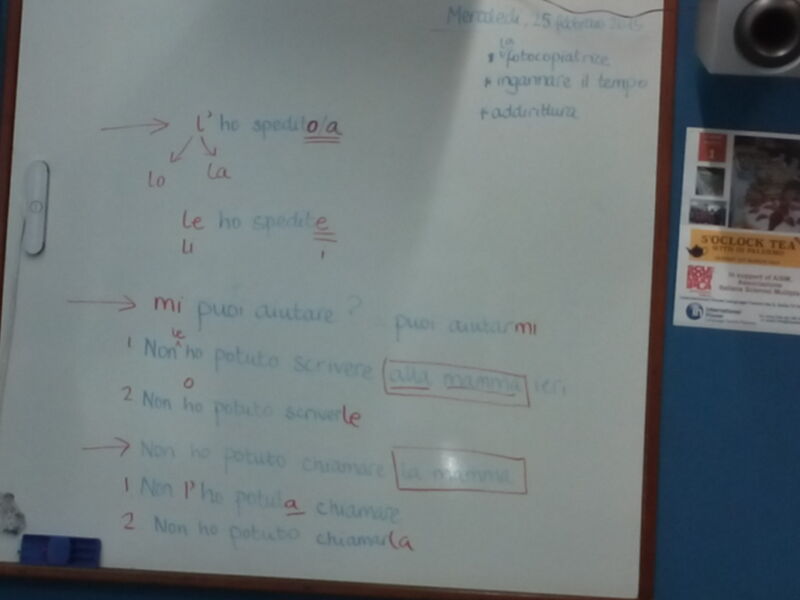 This whole process, spanning the months from June when I started learning Italian in earnest through until now, has on various occasions given me food for thought, leading me to wonder how to apply what I learn from my own experience to what I do with students in the classroom. The latest developments have lead me to delve into further experimentation with helping learners manage their motivation. I say “further” because my learner autonomy projects last year had a strong thread of this running through them. So perhaps this post is a very long-winded way of saying “stay tuned for more posts relating to motivation and language learning” ! Dornyei, Z. and Ushioda, E. (2012) Teaching and Researching Motivation (Applied Linguistics in Action) Routledge. Oxon. At Sheffield University, as well as teaching your tutor group writing skills and guiding them through the process of producing an extended written project, each teacher is responsible for teaching one of the other skills (reading, speaking or listening) to their own and a further two groups. For me, that skill was listening, 8 weeks of academic listening. And it was really interesting! The 8 week listening thread of the pre-sessional course at Sheffield University was based on OUP EAP upper intermediate/B2 (de Chazal & McCarter, 2012) The listening skills development in this course book, to me, seems very strongly rooted in strategy development: students are equipped with strategies to use in order to help themselves listen more effectively to academic texts e.g lectures. Generic elements and functional language are teased out and students’ awareness raised, combined with scaffolded practice opportunities. This scaffolding is evident within units and across the book as a whole, where a gradual decrease can be identified, as students are expected to listen increasingly more independently. Avoid the scenario of students meeting a new strategy and then consigning it to the dusty depths of a folder, never to be used again. Enable students to track their progress/development and recognise an accumulation of strategies being at their disposal. Not only this but also encourage *regular use* of them. Linked to all of the above, help the students become more independent listeners. I made a hand-out to accompany each class, based on the activities in the course-book. Each handout guided the learners through the lesson from reflection to main content to review, also highlighting any new strategies introduced, and I made several weeks’ worth in advance. The main reason for this was time-management, trying to free up time for intensive marking periods and planned absences (graduation, wedding). However, I noticed that it really helped the coherence, especially as I had Vandergrift and Goh (2012) in mind, in terms of systematically reducing scaffolding and guiding learners towards independence in planning, monitoring and evaluating their strategy use. There was clear progression, explicit progression, from one class to the next. Increased coherence, making the content more useful for students. I had the ss fill in a feedback form at the end of the class – 4 questions, no numbers, to encourage reflection (for them) and to gain an insight into their thoughts (for me). Out of 36 responses, one was withholding judgement until he/she knew whether he/she had passed the USEPT exam (the university entrance proficiency test), one thought it was partly useful but felt we talked too much, and the rest were “yes”‘s. It’s different in a General English environment, as courses tend to be organised around grammar structures. However, what I want to try and do this year at IH Palermo is help students see how they are building on what they have learnt and be more systematic in how I approach my lessons in terms of review and reflection. Of course, being 1hr20 minute lessons rather than 3hr lessons limits the amount of time available for this. Nevertheless, working with the time available, a similar ratio could usefully be applied. Strategy tables kept and updated by the students over the duration of the course. I made these between week 2 and week three of the course, following the blank stares that emerged in the initial review section of week 2. The idea was to help students build up a reference/resource, where at a glance they can see what strategies they have learnt and how to use them. This means they should be more likely to use them independently, rather than systematically forget about them, as new strategies are encountered. I completed the first strategy as an example, gave the students a little bit of time at the end of the class in week three to start updating them (so as to ensure they knew what they were doing) and then sent them off under instructions to bring their tables up to date. An important thing that emerged from this was the fact that it was not an instant success. The following week, not all students had updated their tables. However, by bringing it back into the classroom each week at the beginning of the lesson (students would compare their tables), an expectation of autonomy was created. In due course, all the students did live up to that expectation. This coincides with the recognition of the value of what they are doing and the behaviour becomes truly independent rather than purely response to expectation. 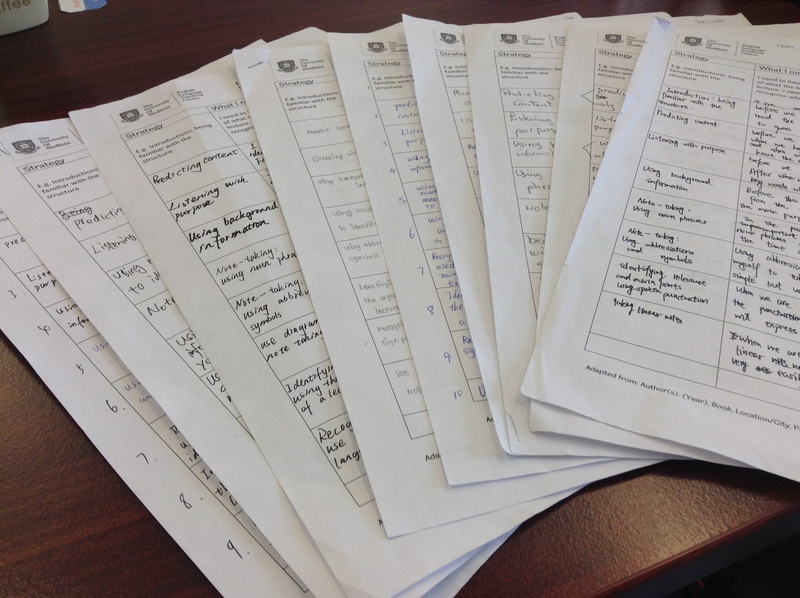 Students finished the course with a record of what they had learnt, a resource to take away, and a more independent approach to their listening skills development. Out of 36 responses, 35 were “yes” and one was “no”, who thought that there were too many strategies to juggle. This student hadn’t yet reached the point of being able to select strategies independently. With 8 weeks of teaching, expecting all students to reach that point may be a little over-ambitious. Many students commented that the strategy tables were useful for reviewing what had been learnt in previous lessons and made remembering the strategies and how to use them easier. I was particularly pleased with comments that cropped up regarding the utility of the strategy table beyond the end of the course. If learners can see how something is going to be useful to them long-term, they are likely to invest more in using it, and be more independent in their use of it. Comments on the strategy table. These were made and introduced alongside the strategy tables. The idea was not by own but based on what I’ve learnt by reading about teaching listening. I adapted it to this context. As with the strategy tables, I started the learners off with an example. 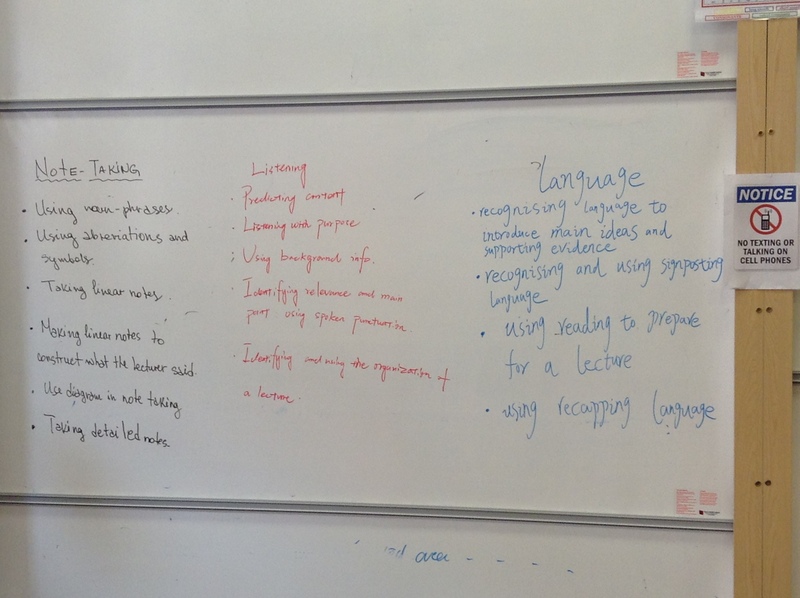 The goals were to encourage independent listening, to help learners develop metacognitive awareness and to avoid the scenario (much bemoaned by listening teachers) of the question “What have you listened to since the last lesson? Which strategies have you practiced?” being met with blank stares. 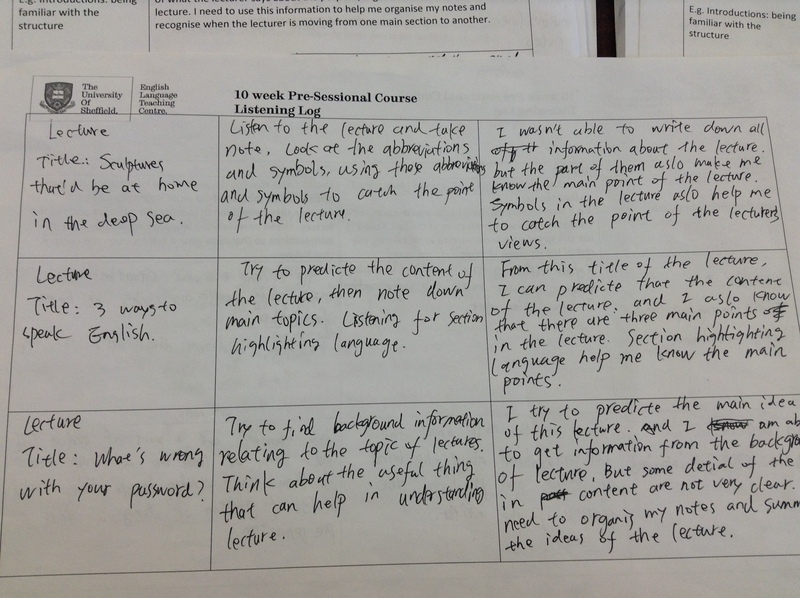 Again, as with the strategy tables, learners compared their logs at the beginning of each lesson. Some students thought the log could be improved by including space for their actual note-taking. Others thought it wasn’t for them. Those that used it, however, did find it useful, as a means of structuring and tracking their out-of-class listening and tracking their progress. As I have learnt through my own language learning this summer, as well as through these students’ experiences, logging is an incredibly useful thing to do. I think it is very transferable to the General English classroom. Students can log their out-of-class study and in the process create a record of their efforts, achievements and progress. Personally speaking, I’ve found it a useful way of maintaining motivation. I think learning logs could be also usefully used in conjunction with something like a learning contract. I think it needs careful thought though, as to how valuable it’s going to be. 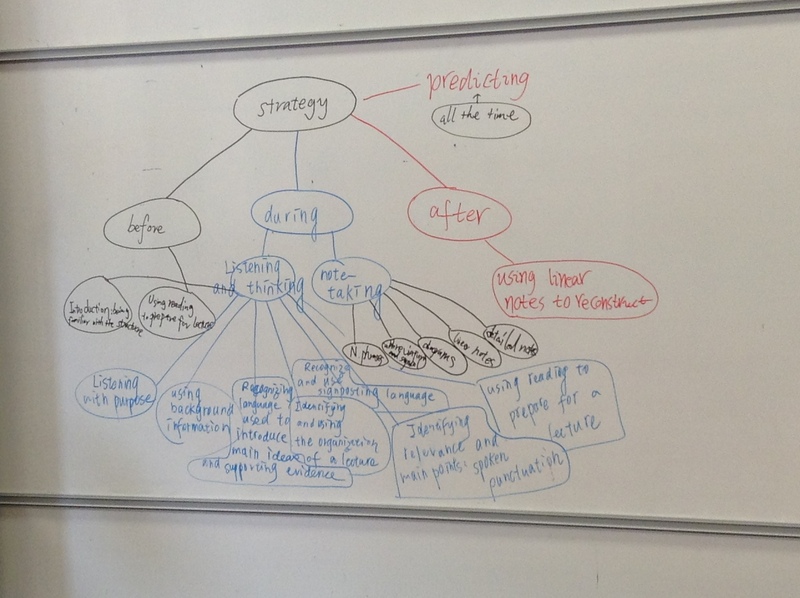 For example with these students, it wasn’t just what they did that they recorded, but how they went about it (in terms of strategy choice) and reflections on that experience. As well as using listening logs and strategy tables with the students, I also used classroom activities to encourage them to reprocess what they were learning and really internalise it. For example, mingles in which the students played strategy guessing games or simply recalled as many strategies (and what they involve) as they could in a given time frame, swapping partners frequently and repeating (generally also collecting and taking with them information/ideas from their various partners – enabling them to benefit from a collective understanding of what they were learning). This encouraged deeper processing both of what the strategies involved and how they relate to each other as well as to the task at hand. 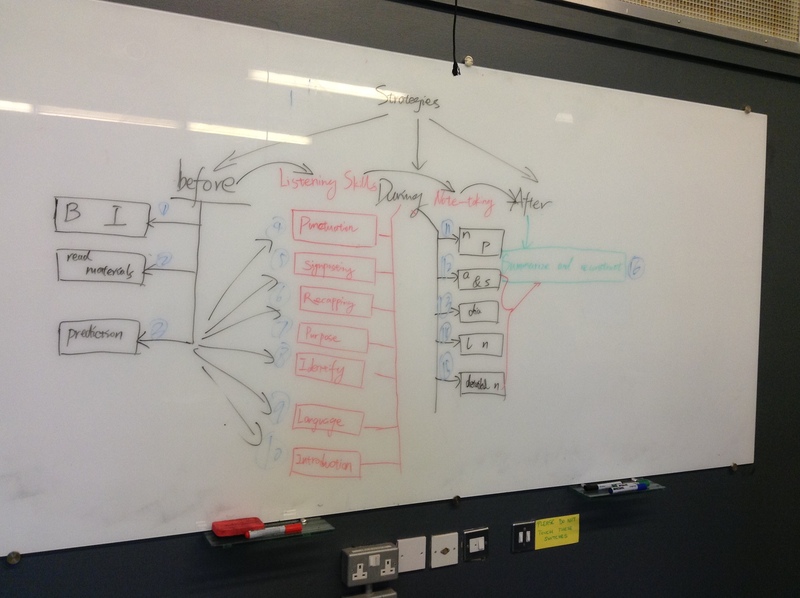 We did the activity in a lesson subsequent to one in which the focus of the lecture extract was on categorisation (e.g. Aristotle’s classification of the world) and using diagrams in note-taking, so this task also developed that theme by requiring students to categorise the strategies and present their ideas visually. 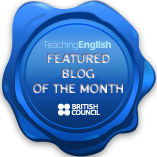 Activities like this obviously have great transferability potential, and, as well as encouraging deeper processing of lesson content, give students opportunity to use language meaningfully and benefit from each others’ knowledge and understanding. At the end of each class, I gave students a new resource to try (e.g. Oxford University podcasts, UCL lunchtime lectures etc.) and at the beginning of the next class, they had to report back to their classmates regarding what they had done with the resource and an evaluation of it. This was done in conjunction with using the listening logs described above. Again, uptake wasn’t instantaneous, but perseverance meant students did use the resources in due course – and develop their listening. This was a more directed version of my Experimentation with English project. It seemed logical as EAP is more directed too: goals are very specific, and specific needs relating to these require specific resources. I think there is something to be said for for introducing resources piece-meal, in terms of not overwhelming students. Having said that, my students at IH loved the handout with all the different resources. I wonder about using this approach in conjunction with my EE project. So, as well as giving learners the resource, going through a more directed process so that all the learners end up trying at least some of the resources. Then, those who are more independent will inevitably try more besides, but perhaps the gap between the more and less independent might be lessened by the extra direction. I think this could also be transferable to exam preparation classes, in terms of encouraging students to use different exam preparation resources to prepare, and sharing what they learn with each other. It was a very interesting summer, and, I am happy to say, my three groups performed very strongly overall in the listening component of the listening proficiency/entrance exam. Importantly, they also felt they had made progress, thanks to the concrete means of measuring it (e.g. strategy tables and listening logs), which helped maintain motivation and encourage a feeling of all the hard work they were putting in being worthwhile. Equally importantly, they were equipped to continue to develop their skills independently and apply what they had learnt in the new context. (Encouraged by frequent pushing from me to reflect on the relevance of what we were doing to what they would be doing in the future – i.e. their university courses!). I now look forward to trying to transfer what I have learnt to my current context and help my new students to be develop as effectively as possible over the short duration that they are studying with me. It’s been quite a while since my last update on my learning contract shenanigans. It was due on the 4th September, but…life has been rather attention-seeking since then! As you may remember, on the 4th June this year, I decided to make and attempt to stick to a learning contract. Month one saw me off to a positive start albeit taking a while to get my resources organised, month 2 was up and down motivation-wise, but the contract kept me on track when I started veering towards complacency on occasion. And now here we are at the end of month 3.5, meaning I’m heading back to Palermo! In fact, I am writing this on the flight in a final desperate bid to round up my summer of learning before I’m thrown headlong into the next phase. A reminder of my learning contract, which lives in Evernote, in my Italian notebook! Did I stick to my contract in month three? Yes. Despite mega-commitments to fulfil concurrently! Since then? No. There are only 24 hrs in a day and seven days in a week. Between visiting people to say cheerio and packing my life up, not much time remained. However, I’ve done my best and, I would say, done more than I would have done if I hadn’t had my contract pestering me! So, failure or success? Depends on which view you take. I’m leaning towards success, as I used what time I did have rather than focusing on what I couldn’t do. Also, just because I couldn’t do as much as I would have liked, I didn’t stop altogether in response to that, which would have been the easy way out. Anyway, what about my progress? 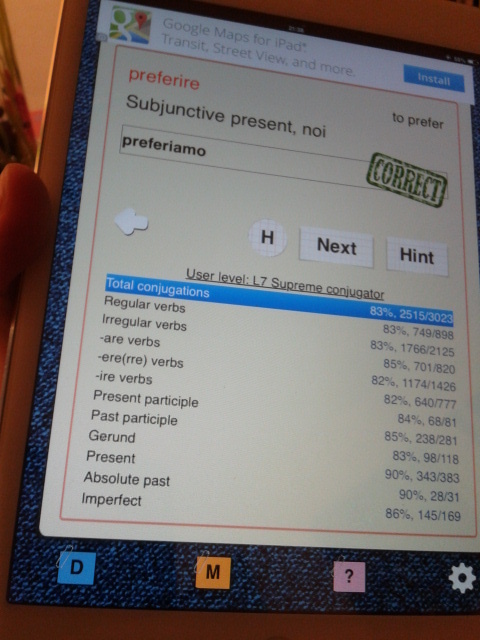 Well, last month I vowed to get my percentage on the conjugation app up from low sixties to 80. Took a couple weeks but I got to 83% with no individual tense scores below 80. Been slack on it lately though – once I met that goal, my interest dipped hugely! What I should have done at that point is make a new goal…so there we go, a demonstration of the importance of goal management in terms of motivation! 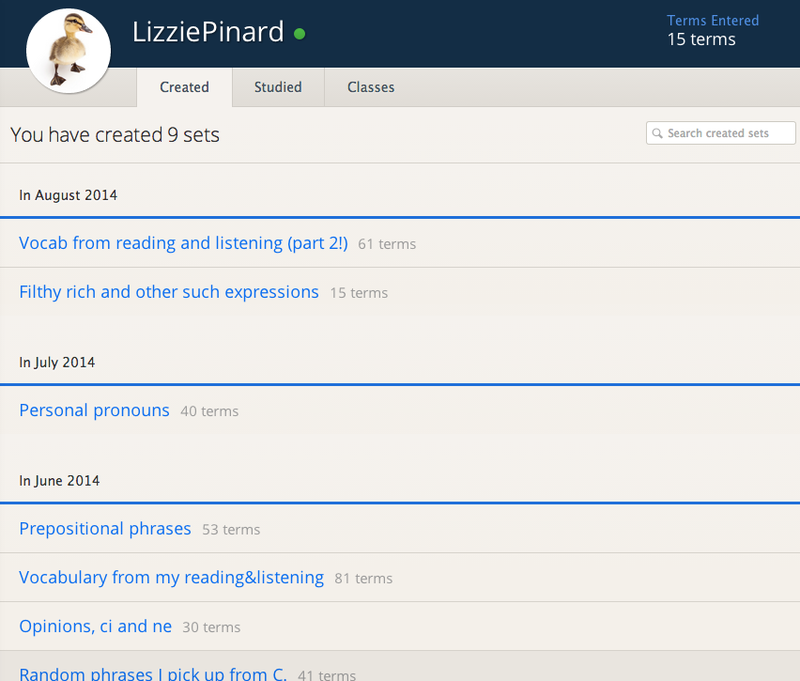 I’ve persevered with Quizlet, and text-mining. I now have two sets of text-mined language,with 80 and 61 terms respectively. Two, because 80 terms was unwieldy enough! I’ve become better at text-mining while listening now, and also at hearing and clocking variations on them. I’ve noticed the importance of context: the phrases I’ve mined from texts or conversations are much more ‘mine’ than those I’ve picked out from language learning resources. Additionally, I try to use my new language productively, when writing or chatting, either on FB messenger or with myself! With the latter, I silently articulate whatever phrases match the situation I’m in and the emotions that go with it. This combination of techniques has been central to my learning this summer, and definitely something I want to pass on to my students. This reminds me of this blog post published a little while back, which dichotomised “the deliberate teacher way” and the “power learner way”, i.e. bite-sized chunks vs. all at once. In response, I will be controversial and say I want and like both! Again and again, for me, variety is the spice of life and the interaction between approaches and techniques is as important as the approaches/techniques themselves. It could be argued that it’s in this interaction that the language catching web I mentioned in this post about text mining is built and works most effectively, in my own admittedly limited experience. I’ve been grappling with my audiobook of Cime Tempestose, finding it useful to go back and listen again periodically. Partly because of dipping in and out meaning that it’s easy to forget what’s going on, partly to deal with the speed (it’s faster than The Secret Garden!) and partly because I haven’t read or listened to it in English previously, so that ups the challenge. I’m on disc 2 and understand the majority of what is going on now. I stil go back and listen again periodically as that also enables extra text-mining and noticing. 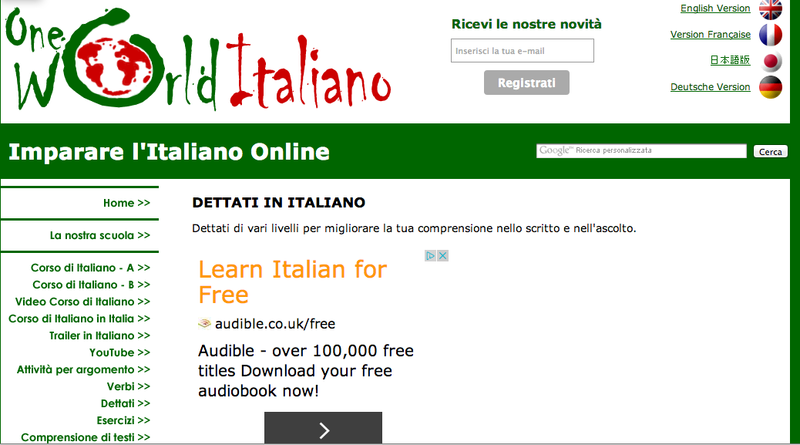 Well, very soon I shall get to test my italian by speaking it! Actual speaking rather than typing! I’m super curious to see what will happen. I know I have a much wider vocabulary and a better command of basic grammar than I did at the start of summer, and my listening is much improved, but will being faced with actual Italians reduce me back to the stuttering wreck I was at the beginning of June? Time will tell. Learning contracts are a useful motivational tool, which can encourage use of a range of activities. Of course, like anything else in language learning, there are pitfalls to be aware of and try to avoid. They are certainly no panacea (of course), and how effective they are will vary from learner to learner. It is important to manage motivation and sub-goals carefully, to avoid complacency or loss of interest! However, the existence of the contract does help in this department. I plan to try and keep using one myself, and will try to use what I’ve learned through this experiment to help my learners develop their autonomous learning skills. In order to get in to my temporary apartment (where I can finally upload this post! ), I had to deal with the Italian owners. Once they sussed I could speak Italian, that’s what we did. And…I understood everything (give or take an occasion of asking for a repetition) plus was able to communicate reasonably competently, able to say what I wanted to say. A far cry from when I arrived this time last year and failed to get myself any food to eat (in a bar), soon after I arrived! I think that now I have enough language for there to be more language than gaps in familiar situations, meaning that I can make myself understood and, I hope, when I’m stuck for a specific word/chunk, paraphrase around it and elicit it from my interlocutor so that I can learn it! That is the approach I want to use…time will tell how it works out for me!